After the earthquake of September 19, the past year, many families of Morelos State lost their homes, so they needed to live in camps. Additionally, many school buildings collapsed, and children had no schools. This situation made that children suddenly had no activities to do and the parents were more concern to rebuild their lives. 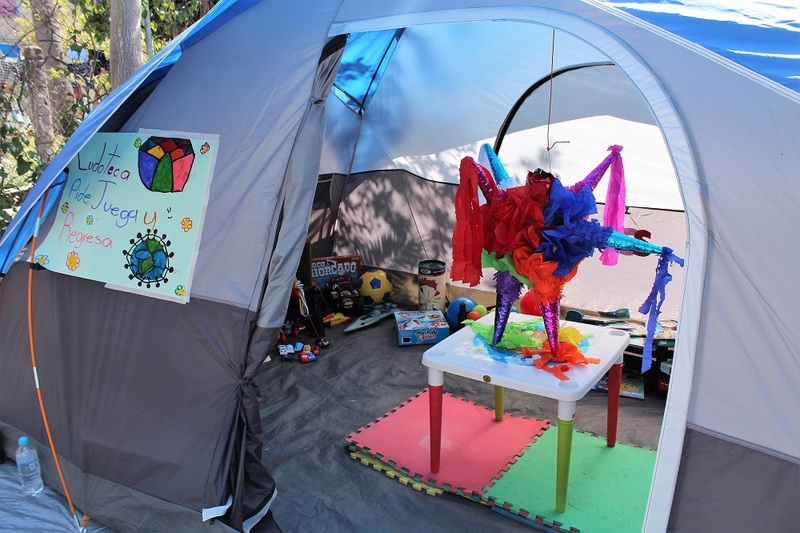 In this circumstance, a good friend of Cuernavaca, Laura Trueba, thought to create the “Ludotecas”, which are educative playrooms for children in the camps, providing friendly, fun and safe places to stay. 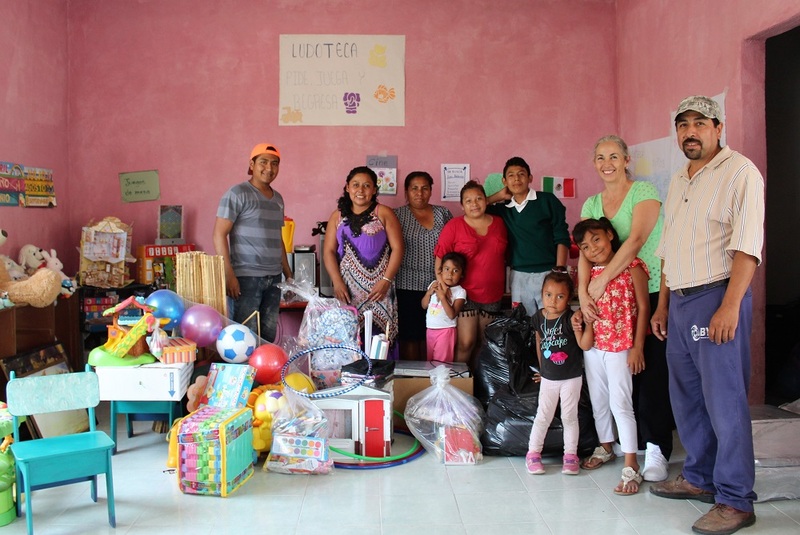 Laura is a pedagogue who has worked with kids many years; in this project she thought put her skills at the service of the community. In Ideal, we were privileged to be invited to participate in this wonderful project and help to build (with our hands) some “ludotecas”. Now the enthusiasm continues. There are still camps in Morelos that need ludotecas, and in some places ludotecas evolve to be permanent ludotecas, even with no camps, it happens when families realized those are good places for kids spend their time. There are 12 ludotecas, and we are thinking to create more. The students of Tec de Monterey create a webpage and Facebook page for the project Ludotecas Morelos; you are invited to visit both places to know more about it. Here is the address: Website Ludotecas Morelos. Facebook site. We invite you to participate and donate to this project. If you come to study to Ideal or just visiting Cuernavaca, you are invited to go to visit some of the places where a ludoteca is installed. Ask Carlos or Selene about it: carlos@ideal-school.com, carlosbrito68@gmail.com, and selene@ideal-school.com. Next Post La conquista de México ¿Quién debe disculparse?